If utility power goes out, the (ATS) Automatic Transfer Switch is going to tell the generator start. 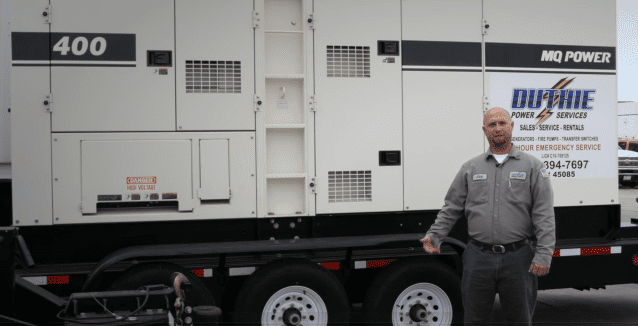 The generator will start (come up to speed) and the ATS will monitor it verify voltage and frequency and then it will transfer over. This will typically happen within 10 seconds.